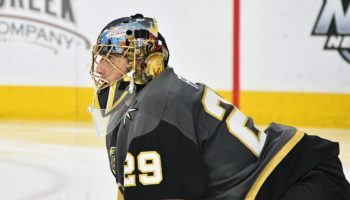 NEWARK, N.J. — At this point in the season, any National Hockey League team will take two points in any way they can get it. 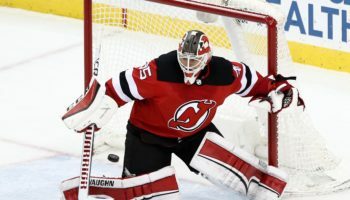 On Monday night, the New Jersey Devils saw a penalty that they took early in the game end up leading to their opening goal and an attempted pass go into the back of the opponent’s net, but also saw their hot rookie goaltender have an off night and allow five goals. But two points is two points, and that is exactly what the Devils earned after Kyle Palmieri and Blake Coleman each scored twice in leading New Jersey to an 8-5 thriller of a victory against the Chicago Blackhawks at the Prudential Center. Travis Zajac, Brett Seney, Sami Vatanen and Kevin Rooney also scored for the Devils as they won their second consecutive game, building off of their 3-2 win over Philadelphia on Saturday. Goaltender MacKenzie Blackwood earned his fifth win in his last six starts for the Devils by making 27 saves, though he did concede five goals and had a couple of more Blackhawks’ shots go off the post during the course of the game. New Jersey’s opener came shortly after it killed off its second penalty of the first period, as Blake Coleman found the puck at his feet right as he left the penalty box and scored on a breakaway past Blackhawks goalkeeper Cam Ward at 13:50 of the first. Patrick Kane tied the game with a power play goal at 3:07 of the second period, but then the Devils went on to score five unanswered goals to seize control. The first two goals of New Jersey’s outburst came just 3:11 apart and both from the stick of Kyle Palmieri, including a power play goal at 8:27 of the second for a 3-1 lead. On that extra man opportunity, Palmieri held the puck at the right circle before sending a pass towards goal that went under the right goal pad of Ward and into the goal. 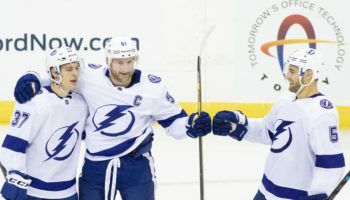 The goal was initially credited to Brian Boyle, who was standing in front of Ward at the net and had the puck also go through his legs, before it was changed later. 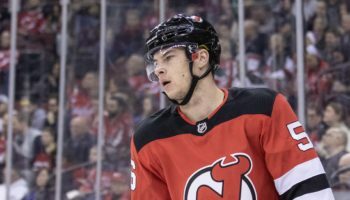 Zajac scored on a tap-in, Vatanen added New Jersey’s second power-play goal of the night and Rooney scored his first NHL goal to complete the five-goal run and give New Jersey a 6-1 lead with 2:02 remaining in the second. Chicago responded quickly with goals from Kane and Brent Seabrook just 42 seconds apart to end the second period and cut the Devils’ lead to 6-3. 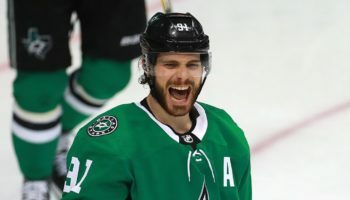 Both teams scored twice in the third period, with Coleman’s second goal coming via an empty net with 34 seconds in the game to produce the final score line. The Blackhawks have lost four in a row and six out of seven to start 2019, and tonight marked the fifth time this season that Chicago has allowed at least seven goals in a game. Dominik Kahun and Brandon Saad tallied in the third period for the Blackhawks, while Collin Delia stopped 14 out of 15 shots in relief of Ward.